OTO is a find the numbers game with multi-player support. It has a simple & clean UI and could be your time killer. Give it a try! In the original game, you have to find all of the numbers from 100 to 1. In this game, there are 49 numbers only. Your mission is to find the requested number which displays at the top bar. Each correct number, you have 1 score. If you find at least 3 numbers in 1 second. You will get a big bonus (figure it out yourself). Every 5 seconds without a correct number, you will lose 1 score! If you choose the wrong numbers too many times, you will lose 5 scores as well. Why you should play OTO? - OTO is a memory practice game. You need to remember the position of numbers to finish the game fast. - OTO supports 2 players mode. Invite your friends or let OTO pick random people around the world to share the good time with you. 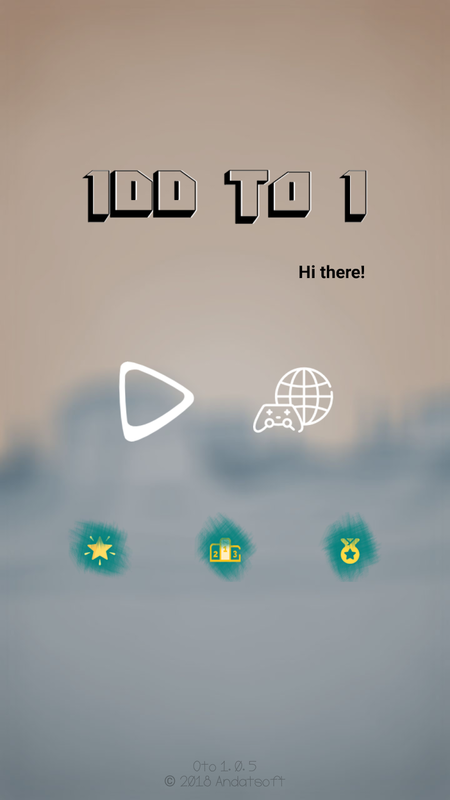 - If you love numbers, this game is for you!